Gail Thompson and the Thompson family became the owners of Clearview General Store in April, 2014. Since then, managing the store has become Gail’s lifeblood. Her enthusiasm to serve Clearview’s customers with great service, and offer a surprising selection at fair prices, is what drives her motivation. The Thompson family and Clearview staff always strive to make everyone feel welcome, making this general store the heartbeat of the Lutsen community. What’s more, she is happy to attempt to carry your favorite items. Just let her know what you like and she will do her best to fulfill your needs! 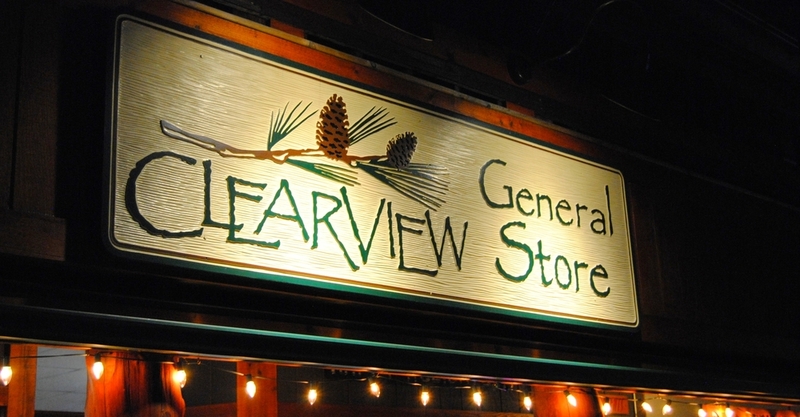 The Clearview Building began as a general store and guest residences in the 1920’s. Today it is a central hub of commerce and community for Downtown Lutsen. Originally built by the Holst Hanson family, The Clearview Building has been owned by Jeff and Anna Latz since 1981. The building has been expanded and remodeled to fit the needs of the five local businesses that currently call Clearview their home. Whether stopping by for business, or just to say “hello,” your neighbors at The Clearview Building welcome you to Downtown Lutsen.